Some months ago a Swedish car magazine had a question on their webpage ”Would you park your internal combustion engine car in front of an electric car charger just to protest?” (Protest against what? They did not specify.) An astonishing 7% of their readers answered YES – that is every fourteenth driver! Ever thought of getting even? Last Saturday suddenly a dozen electric cars -silently!- appeared out of nowhere and occupied all available pumps at a gas station in Stockholm, Sweden. We BEV-d a gas station! Well, if a gasoline car occupying a charger is called ICE-ing, then the opposite should be called BEV-ing (BEV = Battery Electric Vehicle) shouldn’t it? We had manners however, we did not stay there for hours, only for the minute it took to take some pictures. No gasoline cars were harmed in the process. The BEV-ing of the gas station was the last stop of our Stockholm parade there 23 Teslas paraded the streets of the town. The most surreal experience during that event was when a person riding a bicycle past our parade made more noise with his bicycle chain than 23 electric cars together! 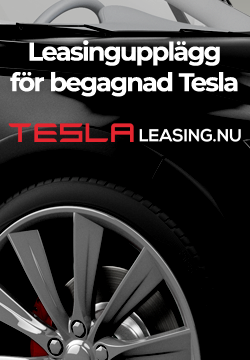 Please notice: the parade and gas station BEV-ing was organised by Tesla Club Sweden – an independent owner and enthusiast club completely unrelated to the company Tesla Motors. Bra där! Var beredd på att bumpa serverprestandan igen Tibor..
Tänkte det samma, kommer Elon Musk dela denna också?